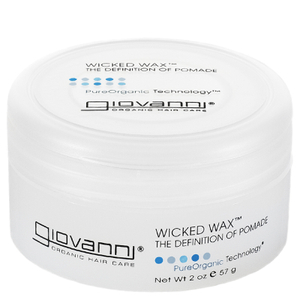 Discover extreme texture with the Wicked Wax Styling Pomade from Giovanni. 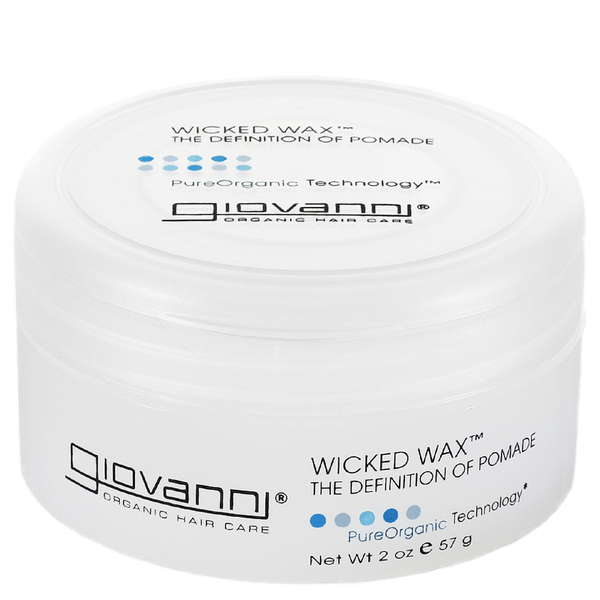 Designed to separate and define locks, the pomade is ideal for short hair and allows you to style hair with ease. Leaving hair with a long-lasting shine, the formula works on both dry and damp fibers, holding locks and delivering enviable texture to your chosen style. Free from Phthalates, Dyes, Parabens and Propylene Glycol. Aqua (Purified Water) with *Rosmarinus Officinalis (Rosemary), *Urtica Dioica (Nettle), *Citrus Aurantium Bergamia (Wild Bergamot), *Papaver Orientale (California Poppy Seed), *Rosa Canina (Rose Hips), Ceteareth-25, Glyerin, PEG-7 Glyceryl Cocoate, PEG-40 Hydrogenated Castor Oil, Phenyl Trimethicone, Disodium EDTA, Panthenol, Silica, Phenoxyethanol, Ethylhexylglycerin, Titanium Dioxide, Mica, Fragrance with Essential Oils. * Certified Organic by Guaranteed Certification Services.